“Float like a butterfly, sting like a bee”. This quote from the great Muhammad Ali is the best description of this year Men’s Basketball team. Our Men’s Basketball team have quietly made a name for themselves, with an overall record of 19-2, and a conference record of 9-2 the Apaches are ranked 18 in the nation. With great size and speed, the Apaches average almost 90 points per game, which is as impressive as the fact that they allow a little over 40 points per game, making them, top 10 in the nation, according to the NCJAA. As a team filled with sophomores, this team runs the floor as well as the plays with experience, and strike fear into their opponents with their great defense. Brian Warren Jr, a sophomore, not only leads the team with points and assists per game. 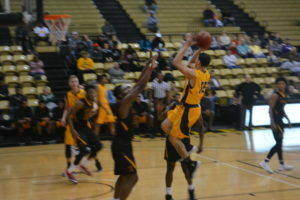 He also leads this team with his experience, starting on every game he’s played for the Apaches since his freshman year. The team is coached by Mike Marquis, former coach of now All-Star Jimmy Buttler. He is now in his 17th season as a head coach. The Apaches approach the end of the season with the hopes of making the playoffs and contend for a national championship. This is a well written article that gives me a lot of information that I did not know. I think it is cool that they average close to 90 points per game, which sounds really hard. I hope they can keep doing that, plus improving. That is pretty cool that Mike Marquis is the head coach for TJC because he use to coach the All-Star Jimmy Butler. I hope they will be able to make the play off’s. With them averaging 90 points per game, I don’t think that will be a problem for them. 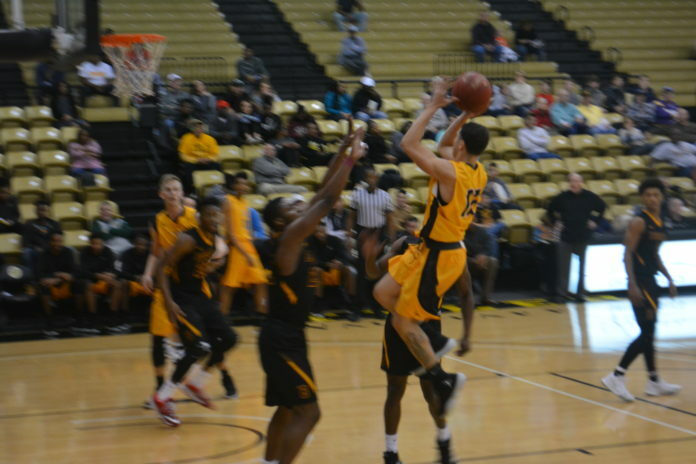 I can see why TJC men basketball is so talented because during the game the boys are really focused and sometimes it gets really intense. Most of the time you can literally feel the tension in the room. While reading this article I realized how much of a basketball fan I am. Seeing that the basketball team wins at home brung joy to my eyes. It was well written and straight to the point. Also, the team is filled with sophomores which mean the team is really young with so much potential.